When I am out in the workshop and I need to glue something up quickly using hide glue or need only a small amount of hide glue where it is not worth the time and trouble to mix up some traditional hide glue from the pellets, I place a bottle of Old Brown Glue (OBG) in my electric glue pot and let it warm up in the water. (When not in use that bottle lives in the workshop refrigerator to extend it’s life). Once heated up the glue flows a lot better. The one thing I don’t like about the OBG bottle after heating is that it has a tendency to flow quickly and can quickly release way too much glue onto a given surface. Also after pouring out some glue, when you return the bottle to an upright position the air in the bottle has a tendency to shoot a blob of molten glue which can land on your project, your face, your cat, your wife — basically anywhere except the glue joint. To combat this I normally pour some glue out onto the TOP of the lid of a plastic container. 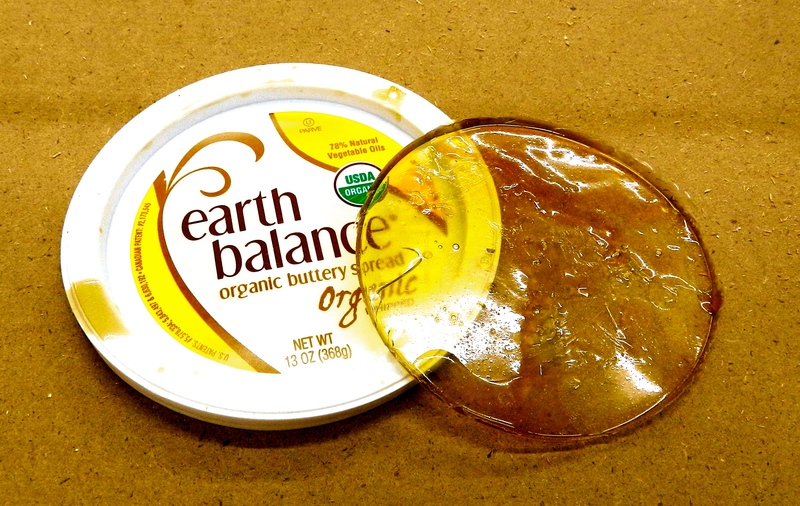 Usually Earth Balance Organic Buttery Spread (which is a surprisingly good butter substitute) or the lid to a container of Breakstone’s Sour Cream work well as they both have a depression in the center that keeps the glue on the lid. You want a lid that is made of a flexible plastic and one that has a logo that will not come off. If the glue gets cold I can add some more warm glue and reinvigorate some of the glue that gelled on the lid but eventually the lid can get covered with glue that has cooled down. At the end of the day whatever is left on the lid will sit until it hardens. In a day or so I can bend the plastic lid and peel off the glue as a big disc. 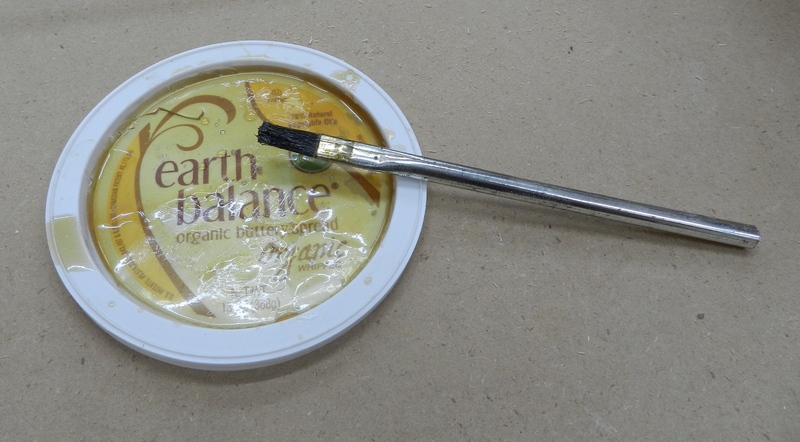 If the glue is still fairly fresh you can reheat it in a glue pot and use it again or if it is old or contaminated by dust or other foreign materials you can toss it and start over. I’ve been a big fan of hide glue in recent years — for its reversibility, workability, compatibility with finishes and historical accuracy. If you’d like to learn more about hide glue and its many properties and uses check out the book “Hide Glue: Historical and Practical Applications” by my friend Stephen A. Shepherd via his blog here. P.S. 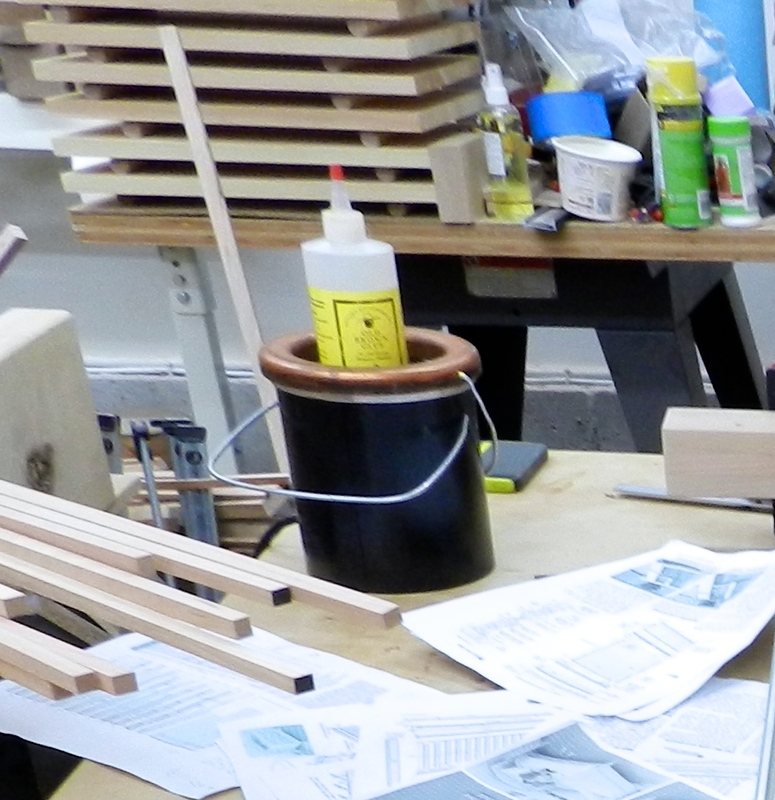 The woodworking community was sad to learn that Stephen A. Shepherd recently had a serious stroke. He is in our thoughts and prayers and we all wish him a speedy and full recovery.